Ahhhh.. I am so excited for Valentines I can hardly contain it. Me and hubs decided to take turns planning Valentines every year. Well, this year is my year!! I wish I could share my plans with you, buy that would ruin the surprise! 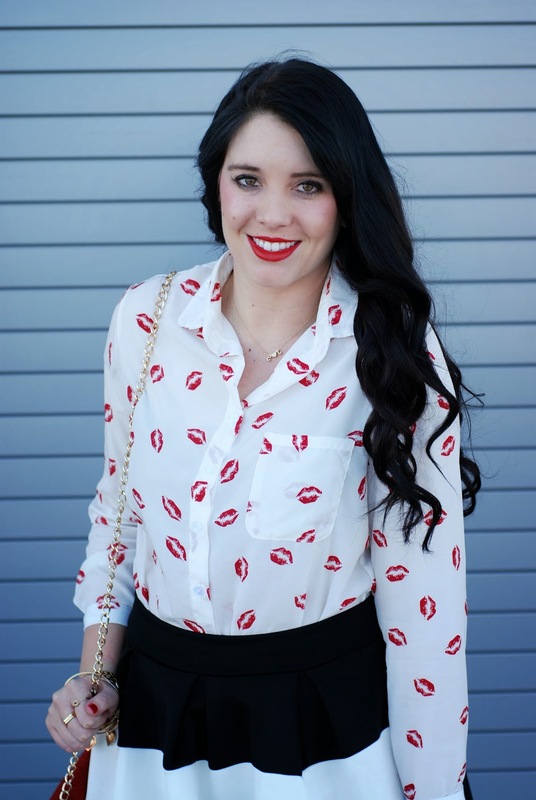 I felt like it was necessary to wear some sort of hearts or lips in my Valentines Day outfit. I went with lips this time and added a few little red details (nails, lips, and bag). Well it is time to turn my attention over to the Super Bowl and stuff my face with yummy and really unhealthy food. Enjoy your Sunday! P.S. Two giveaways AND a link up this week. You obviously must come back! K bye! 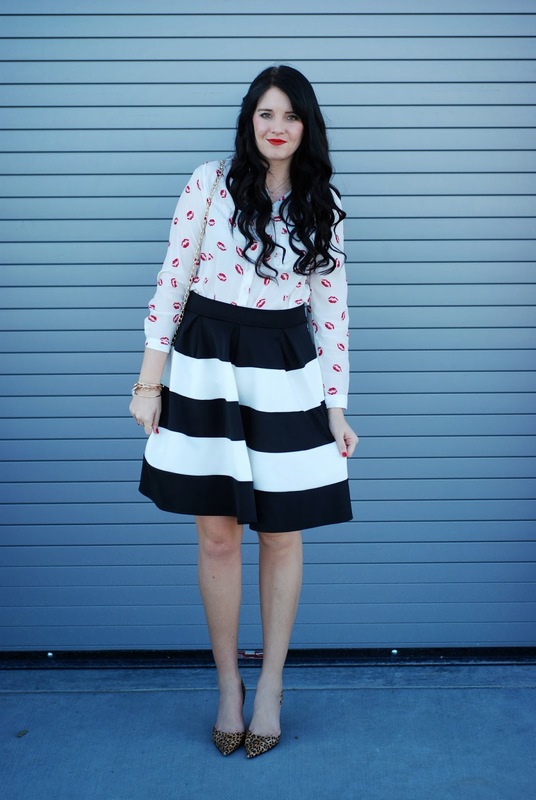 14 comments on "VALENTINES OUTFIT - SMOOCHY STYLE"
Wow this is beautiful! I love love love it!!! The skirt is amazzzing! I look forward to coming back for more inspiration! Like the mixture of prints and stripe.. pretty! Thanks for linking up with Funday Monday. That blouse is precious as can be! I love GroopDealz. And Jane and Ace and Ivy and Hautelook, to name a few! How do you go wrong with discount boutiques?! 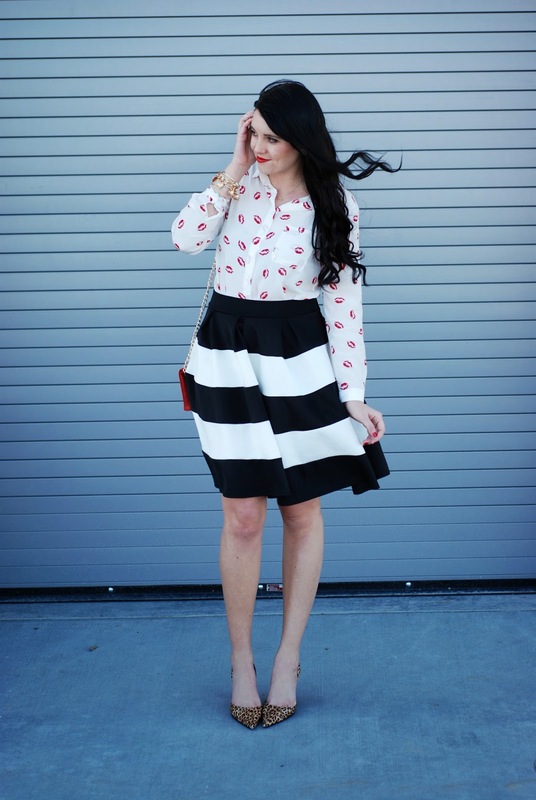 What a perfect outfit to get in the mood for Valentines Day! And I'm excited to see more of that skirt. Happy Monday! SUCH a cute outfit, love that skirt. super cute outfit! love the mix of patterns! Great idea to take turns planning V-Day! You look amazing! What a fun print on the shirt. 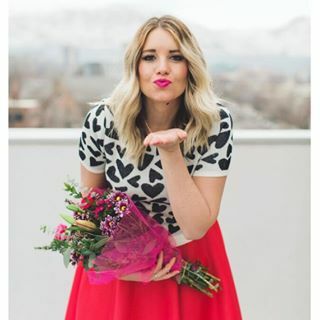 Great idea to take turns planning your V-day celebration - I hope it all goes well. This outfit is too too cute. Love the mix of patterns. What a sweet surprise to combine leopard pumps. It totally works. 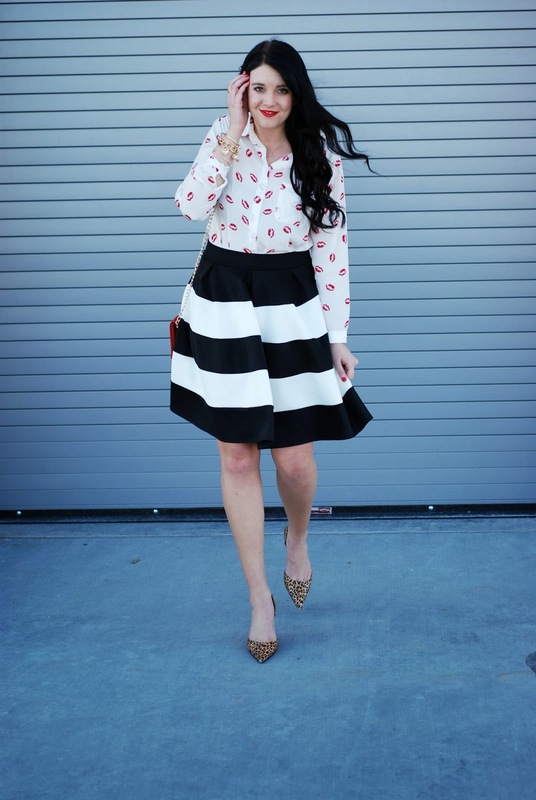 Super fun Valentine's theme outfit! Love how all the patterns mix and match well together! And that bag is perfect! That shirt is too adorable. Perfect to Valentine's Day! I'm also excited for it. Been looking at cute dress options and just did a post on it. Can't wait to hear what you planned! LOVE this look!! I have that same top and am planning on wearing it for Valentines Day!!! :) cant wait!! This look is so stinkin' adorable that I can't take it! I love the mix of prints and that blouse! Too cute, lady! Thanks for sharing with Mix it Monday!